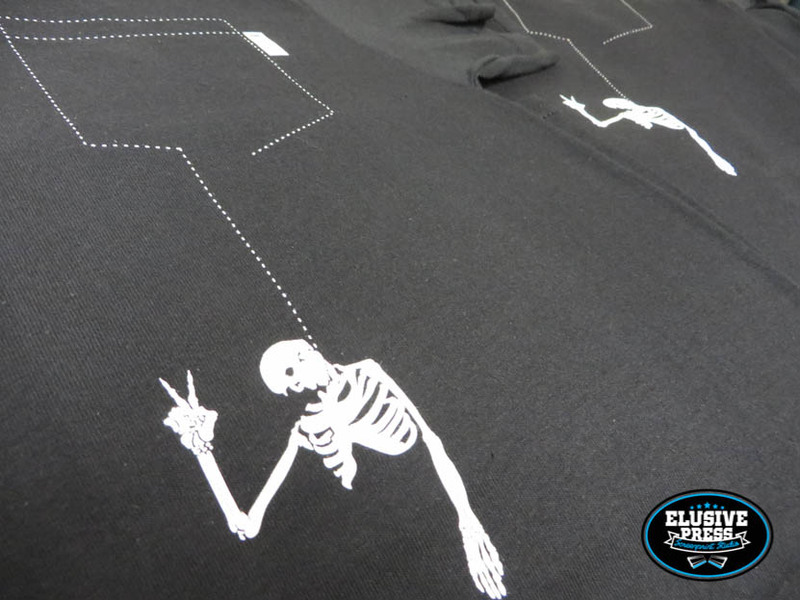 Water Based T Shirt Prints For Epoch Design, Bristol. 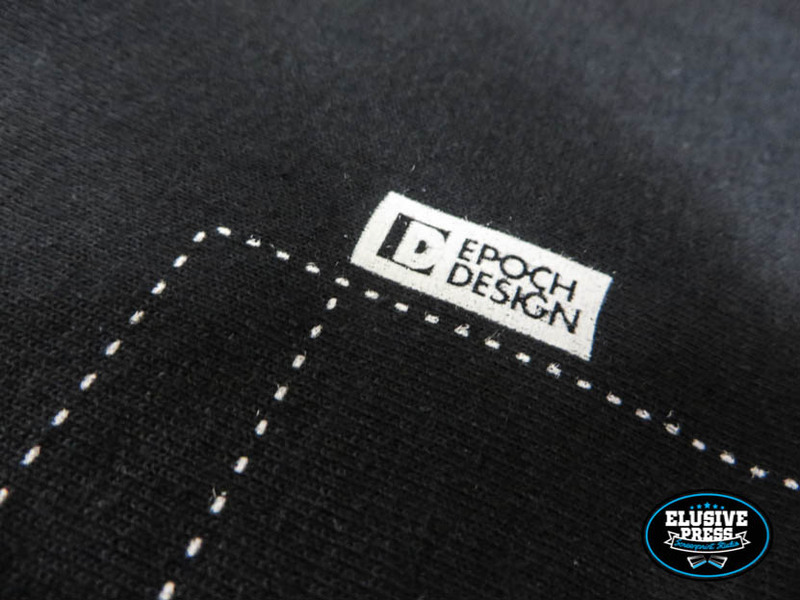 We screen printed these t-shirts for Bristol based design studio ‘Epoch Design’. 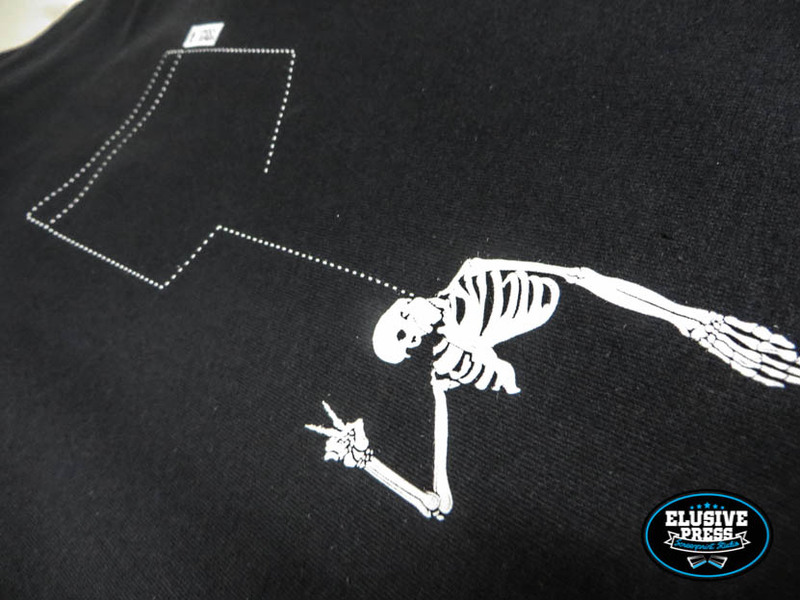 Our Bristol t-shirt printers always look forward to the next set of tee’s to print from Epoch as they employ some of the best creative designer around, so the designs are always super high quality. 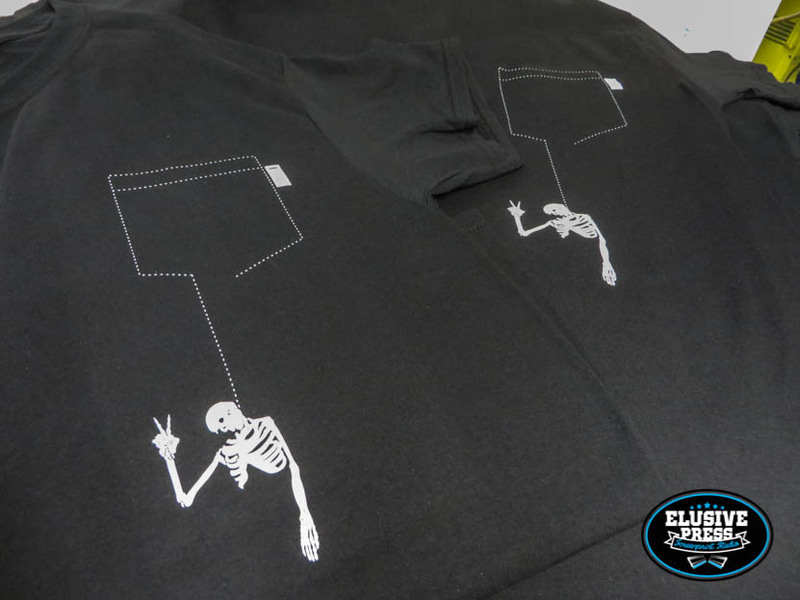 We screen printed this Halloween design on heavy weight tshirts and using water based ink. This entry was posted in News and tagged Bristol screen print, Bristol screen printer, Bristol screen printers, Bristol Screen printing, bristol t shirt printer, Bristol T shirt printers, Bristol t-shirt print, Bristol t-shirt printing, Bristol t-shirt screen print, Bristol t-shirt screen printers, Bristol t-shirt screen printing, Bristol tshirt print, bristol tshirt printer, Bristol tshirt printers, Bristol tshirt printing, Bristol tshirt screen print, Bristol tshirt screen printers, Bristol tshirt screen printing, Camborne screen print, Camborne screen printer, Camborne screen printers, Camborne screen printing, Camborne t-shirt print, Camborne t-shirt printer, Camborne t-shirt printers, Camborne t-shirt printing, Camborne t-shirt screen print, Camborne t-shirt screen printers, Camborne t-shirt screen printing, Camborne tshirt printer, Camborne tshirt printers, Camborne tshirt printing, Camborne tshirt screen print, Camborne tshirt screen printers, Camborne tshirt screen printing, Cornwall screen printer, cornwall screen printers, Cornwall screen printing, Cornwall t shirt screen printers, Cornwall t shirt screen printing, Cornwall t-shirt print, cornwall t-shirt printer, cornwall t-shirt printers, Cornwall t-shirt printing, Cornwall t-shirt screen print, Cornwall tshirt print, cornwall tshirt printer, cornwall tshirt printers, Cornwall tshirt printing, Cornwall tshirt screen print, Cornwall tshirt screen printers, Cornwall tshirt screen printing, South West l t shirt printing, South West screen print, South West screen printer, south west screen printers, South West screen printing, South West t-shirt print, South West t-shirt printer, South West t-shirt printers, South West t-shirt printing, South West t-shirt screen print, South West t-shirt screen printers, South West t-shirt screen printing, South West tshirt print, South West tshirt printer, South West tshirt printers, South West tshirt printing, South West tshirt screen print, South West tshirt screen printers, South West tshirt screen printing, St Austell screen printer, St Austell screen printers, St Austell screen printing, St Austell t-shirt print, St Austell t-shirt printer, St Austell t-shirt printers, St Austell t-shirt printing, St Austell t-shirt screen print, St Austell t-shirt screen printers, St Austell t-shirt screen printing, St Austell tshirt print, St Austell tshirt printer, St Austell tshirt printers, St Austell tshirt printing, St Austell tshirt screen print, St Austell tshirt screen printers, St Austell tshirt screen printing, St Ives screen print Camborne tshirt print, St Ives screen printer, St Ives screen printers, St Ives screen printing, St Ives t-shirt print, St Ives t-shirt printer, St Ives t-shirt printers, St Ives t-shirt printing, St Ives t-shirt screen print, St Ives t-shirt screen printers, St Ives t-shirt screen printing, St Ives tshirt print, St Ives tshirt printer, St Ives tshirt printers, St Ives tshirt printing, St Ives tshirt screen print, St Ives tshirt screen printers, St Ives tshirt screen printing, Truro screen print, Truro screen printer, Truro screen printers, Truro screen printing, Truro t-shirt print, Truro t-shirt printer, Truro t-shirt printers, Truro t-shirt printing, Truro t-shirt screen print, Truro t-shirt screen printers, Truro t-shirt screen printing, Truro tshirt print, Truro tshirt printer, Truro tshirt printers, Truro tshirt printing, Truro tshirt screen print, Truro tshirt screen printers, Truro tshirt screen printing, UK l t shirt printing, UK screen print, UK screen printer, uk screen printers, UK screen printing, UK t shirt print, UK t shirt printer, UK t shirt printing, UK t-shirt printers, UK t-shirt screen print, UK t-shirt screen printers, UK t-shirt screen printing, UK tshirt print, UK tshirt printer, UK tshirt printers, UK tshirt printing, UK tshirt screen print, UK tshirt screen printers, UK tshirt screen printing, West Cornwall screen print, West Cornwall screen printer, West Cornwall screen printers, West Cornwall screen printing, West Cornwall t-shirt print, West Cornwall t-shirt printer, West Cornwall t-shirt printers, West Cornwall t-shirt printing, West Cornwall t-shirt screen print, West Cornwall t-shirt screen printers, West Cornwall t-shirt screen printing, West Cornwall tshirt print, West Cornwall tshirt printer, West Cornwall tshirt printers, West Cornwall tshirt printing, West Cornwall tshirt screen print, West Cornwall tshirt screen printers, West tshirt screen printing.